30.13 Concrete Pump - Towable - per day includes operator - hired only with operator. Coppard run a fleet of 9 batch mix concrete lorries which gives the flexibility to deliver from a single cubic metre to 300 cubic metres per day. 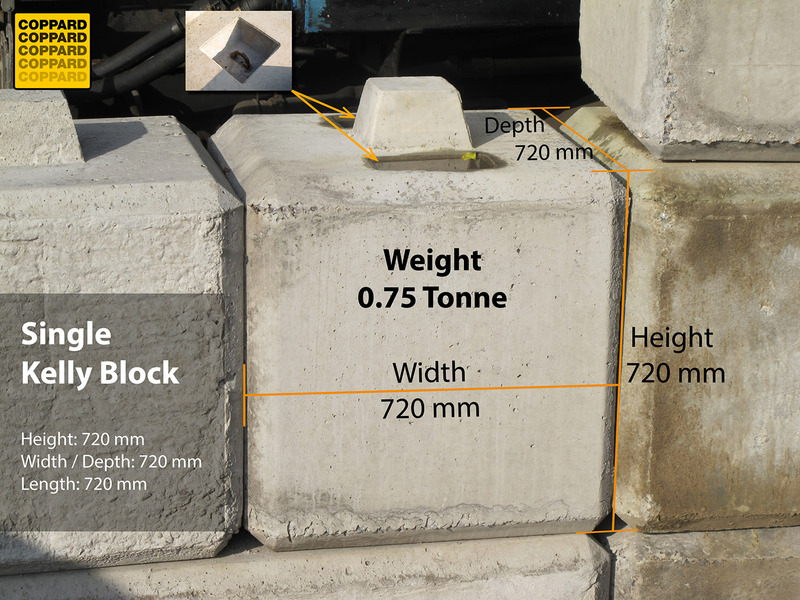 This is a unique batching system where all the concrete elements are mixed to order on site. 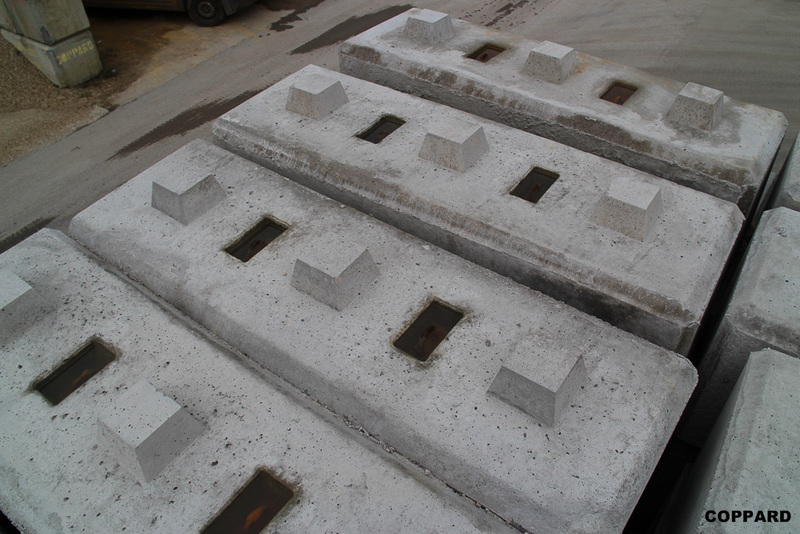 Materials are carried on the truck and batches are mixed as required these can be changed at anytime during the concrete production. All that is required is the operator shuts off the mixer and then modifies the mix of Concrete, Shingle and sharp sand. Night work and weekend work can be undertaken by arrangement. Delivery or collection is made by arrangement. Working hours: 7 am to 5.30pm Monday to Friday 8am to 12pm Saturday. 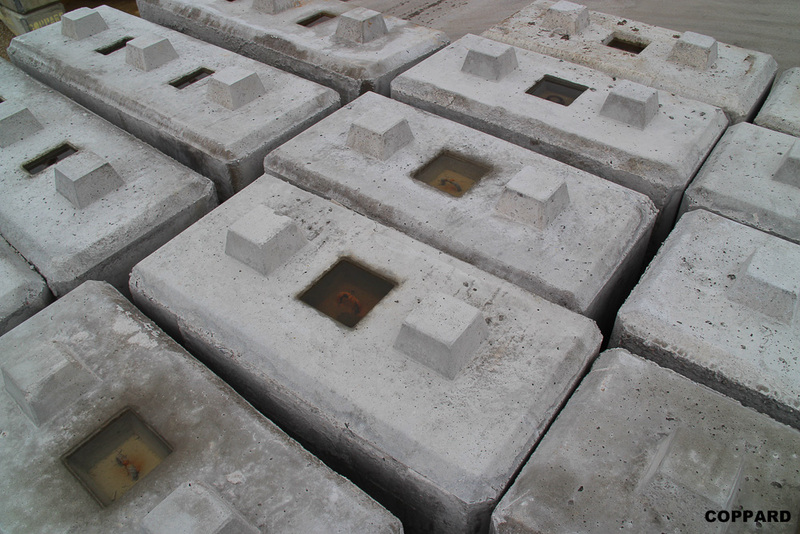 We have strict quality control and take concrete test cube on a regular basis. 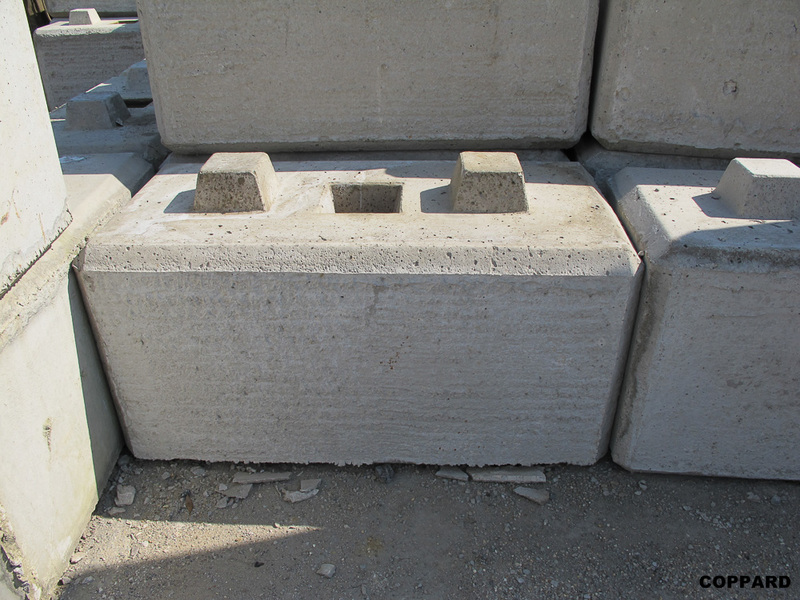 In addition to the normal basic concrete products we can supply the following. 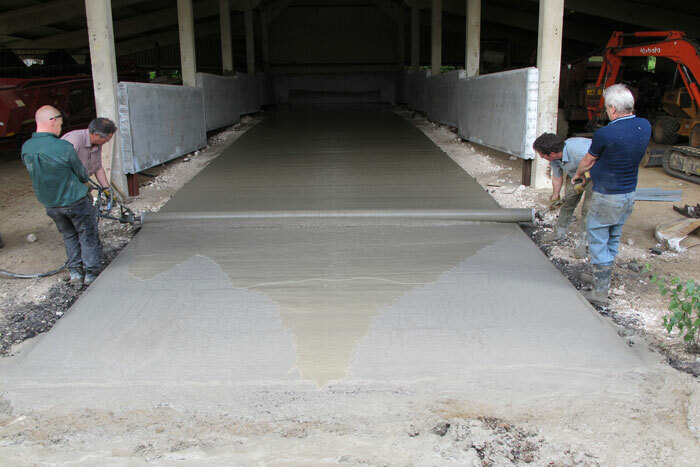 Granolithic screed | Sharp sand Screed | Foam Concrete | Retarder and Fibre Additives. 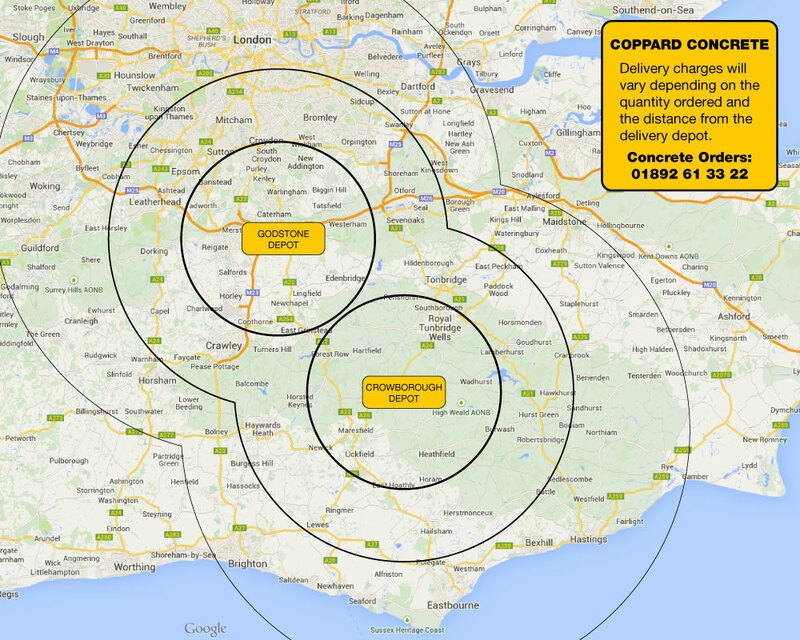 We deliver throughout the South East of the UK from London to the South coast in Kent , Sussex and Surrey. 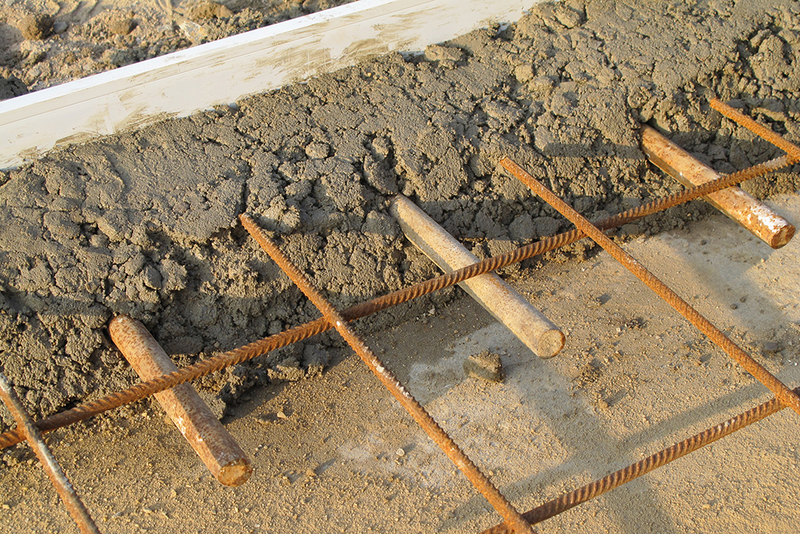 Using screed rail-crack inducers save time and labour. There is no need for expansion joints or forms and un-like forms it is possible to pour both sides in 1 day. The recommended area without expansion joints or crack inducers is 25m². Designed for thicknesses from 80mm to 200mm available in lengths of 3m. 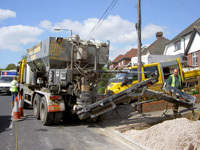 Coppard Plant Hire Ltd ready mix concrete is produced using Mobile concrete batching plants. 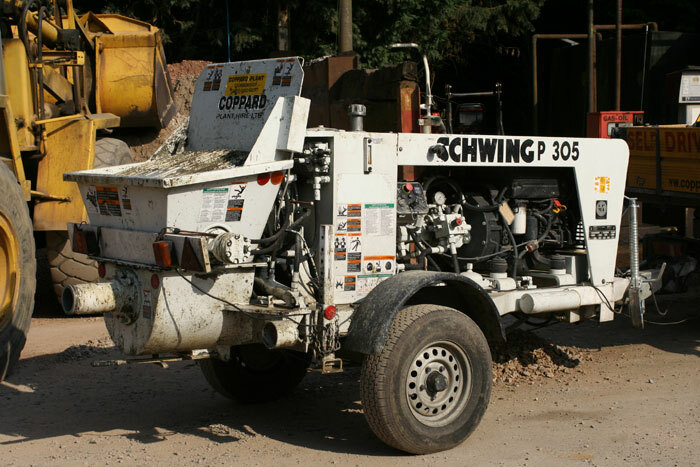 These mobile batching plants are capable of mixing a high quality concrete and screed to order. The Lorries carry the raw dry materials to the site in separate compartments unmixed. 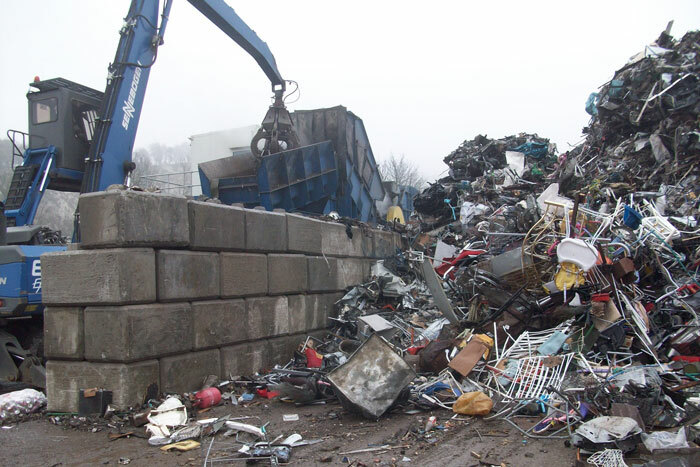 The materials carried are normally: sand, stone, cement and water. This Batch Mix System has several advantages over traditional Ready Mix Concrete delivered using barrel mixers. 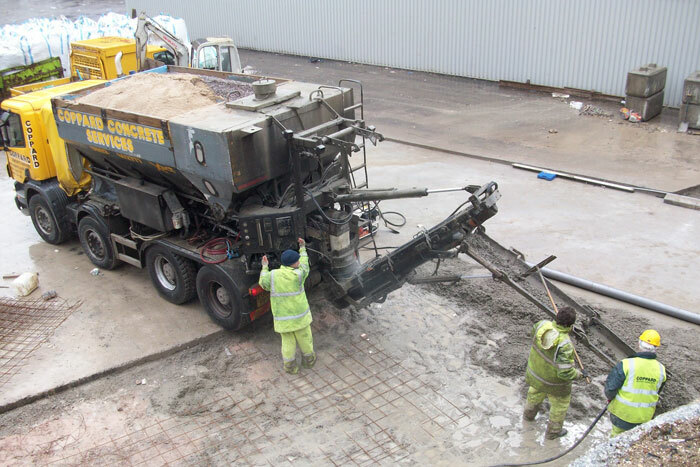 The main advantage of Batch Mixing over traditional ready mix being you only pay for what you use; this saves the hassle of having some concrete left over and the associated additional costs. Most screeder’s prefer delivery via volumetric (batch mix) concrete Lorries as they can have a fresh mix exactly how they want it. With ready mix you get it as it comes (often too wet or to dry) with it being mixed from the moment it leaves the yard. The screed pump is supplied with a tripod and 60 metres of hose. Thorough cleaning is the responsibility of the hirer. If the pump is not returned clean; cleaning charges will be charged to the hirer. If there is any damage caused by improper or insufficient cleaning repair charged will be applied to the hirer. 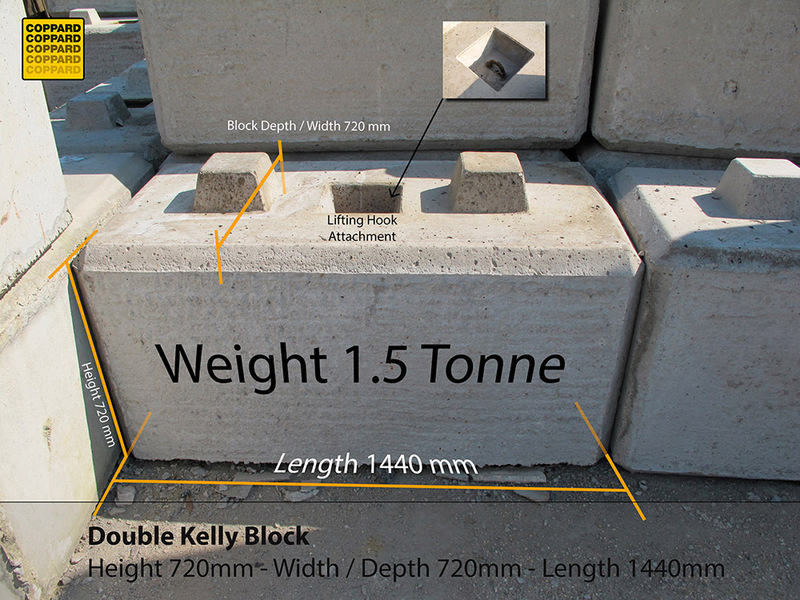 Kelly Blocks are multi-purpose interlocking Concrete Blocks. 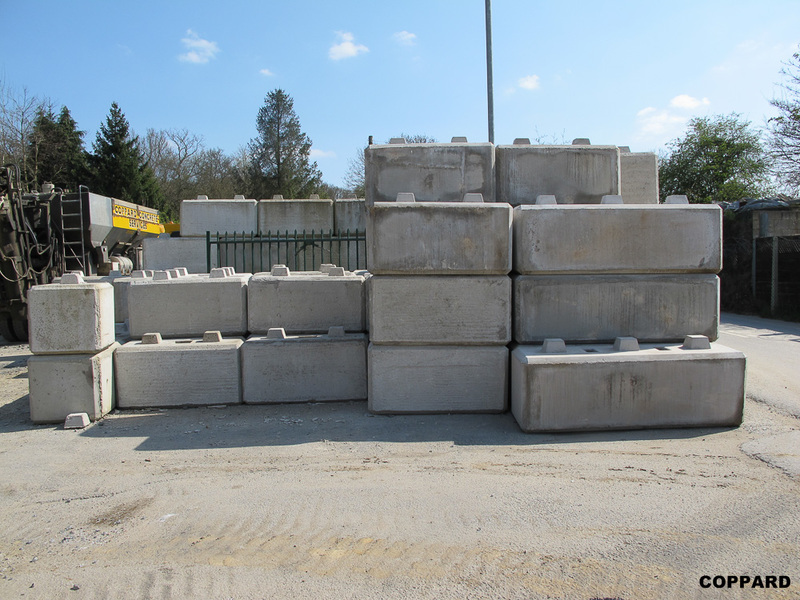 They have a wide range of uses ideally suited to barriers, material bays, retaining walls. They are ideally suited to businesses that will have storage needs which will vary over time. Walls and bays can be built and repositioned in very little time. 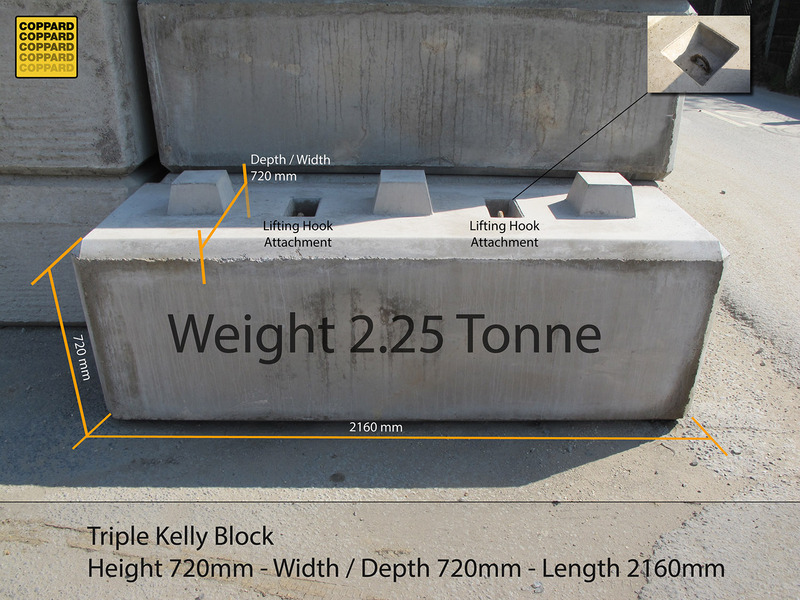 These blocks come in 2 sizes - 0.75 tonne and 1.5 tonne. 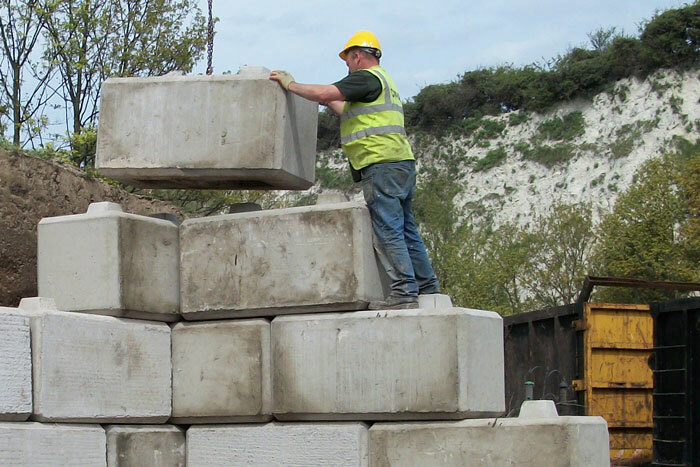 The blocks are exceptionally easy to handle as each block has an integral steel hook requiring no specialist lifting equipment other than a hook and chain. 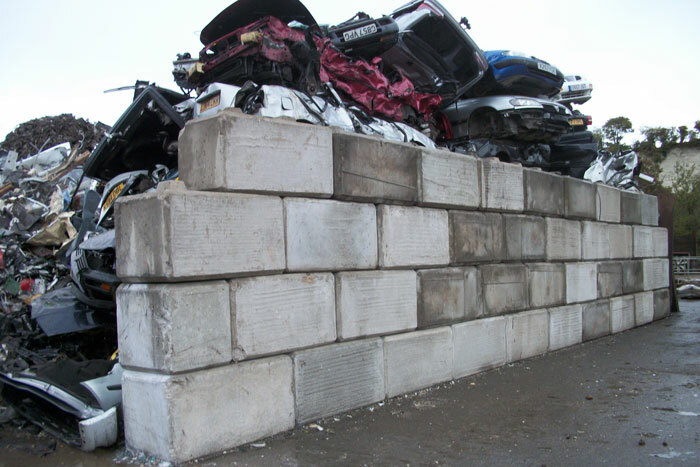 We have these blocks available to buy or hire. Please call our Concrete Services Department for our current prices. We have a concrete pumping service available for the difficult access concrete jobs. Our pump is capable of pumping concrete up to 100m from the pumping unit which has a very small foot print. 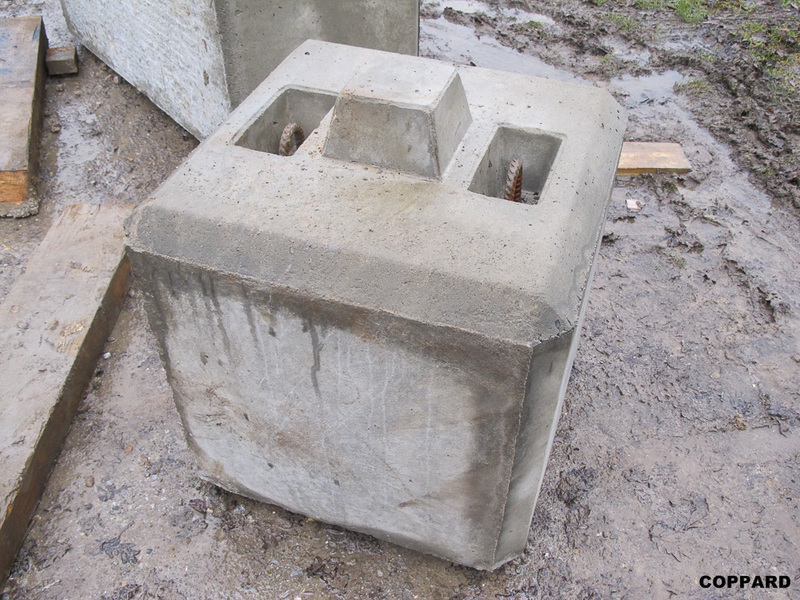 The concrete pump comes with a pump operator; currently a day’s hire is £350. 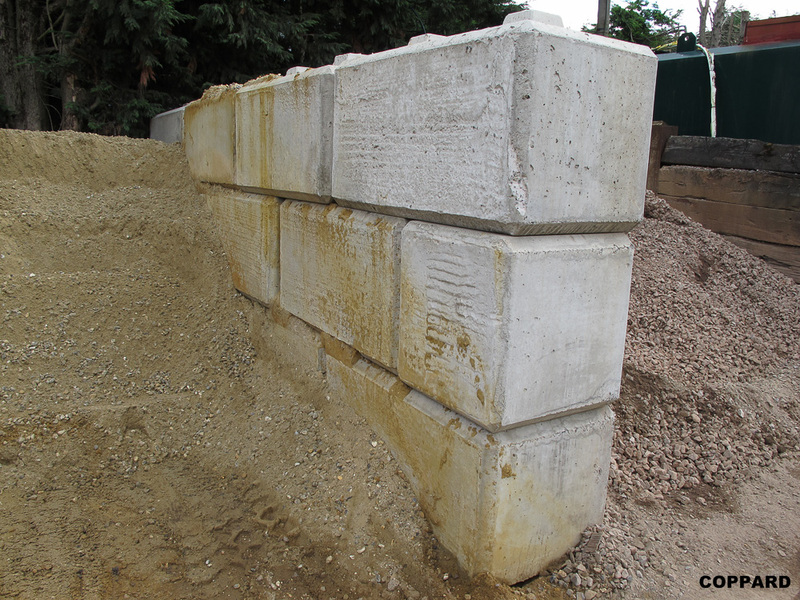 Please advise us on the distance you require the concrete pumping when you place your order. We require you to provide a hosepipe with a water supply for the concrete pump maintenance and cleaning whilst on site. 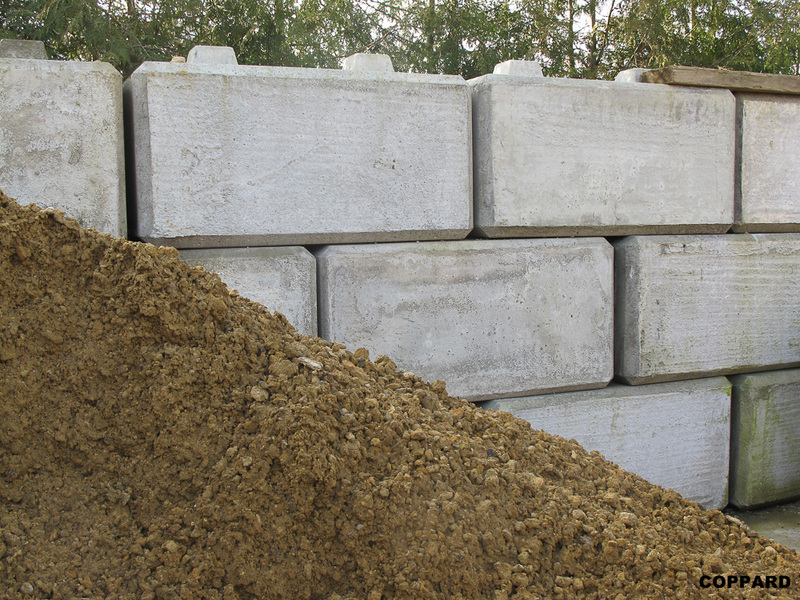 We would also require you to supply 2 to 3 bags of cement to prime the pump, if you require us to supply this cement please let us know at the point of ordering. Because we supply the concrete pumping service as well the concrete this avoids any problems between pump and concrete supplier. We are more than happy to help and can provide a site survey to assist you in your project. 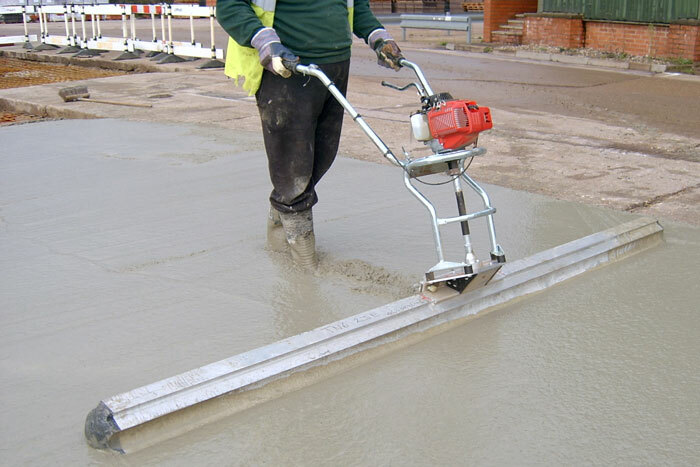 The Roller Striker level and finishes concrete slabs easily. 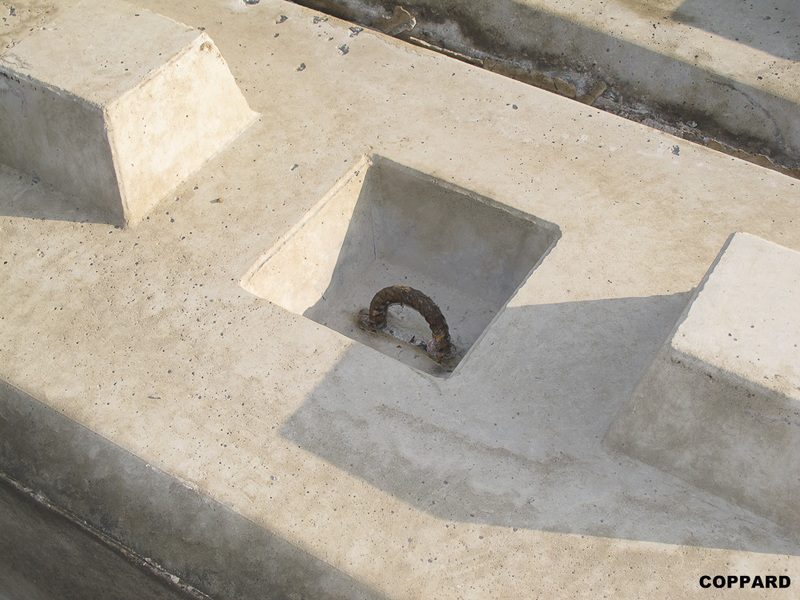 A spinning tube pulls up the surcharge of concrete as it works. 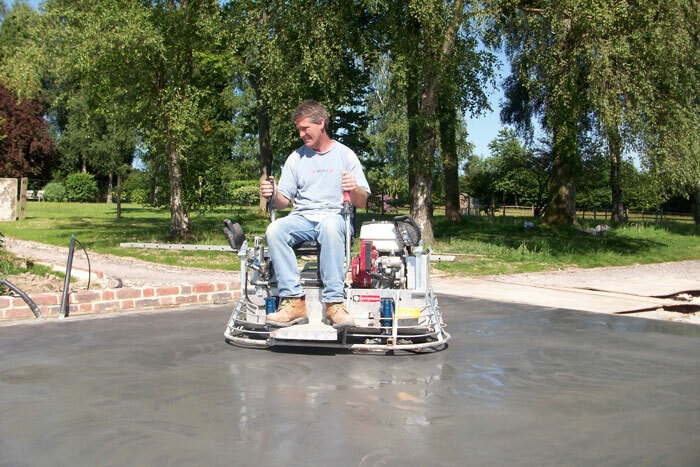 The Spinning roller action leaves aggregate near the surface resulting in a very strong floor, ready for powerfloating or tamping as required. 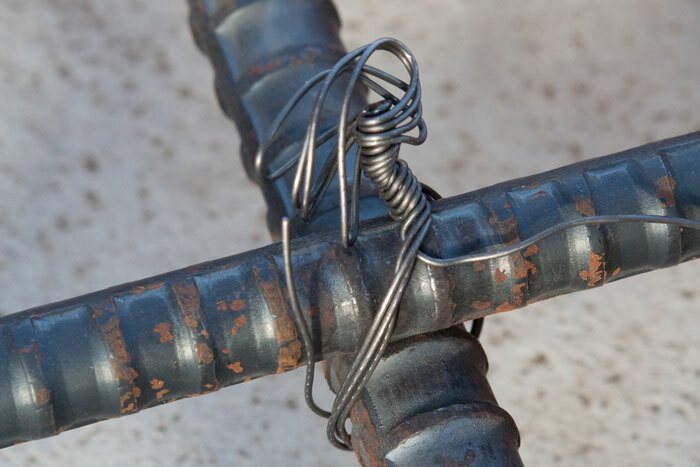 Save time and increase productivity with the cordless Re-Bar-Tying tool. Simple one handed operation. Tying time twist and cut is less than 1 second. Works on Rebar from 10mm to 39mm. Sit on power float suitable for medium to large areas taking all the hard work out of power floating, Comes with standard blades and pans, in-built night lights and spray jets for polishing. Floating vibrating tamp suitable for using with or with out screed rails, light weight and available in sizes from 2m to 6 m.